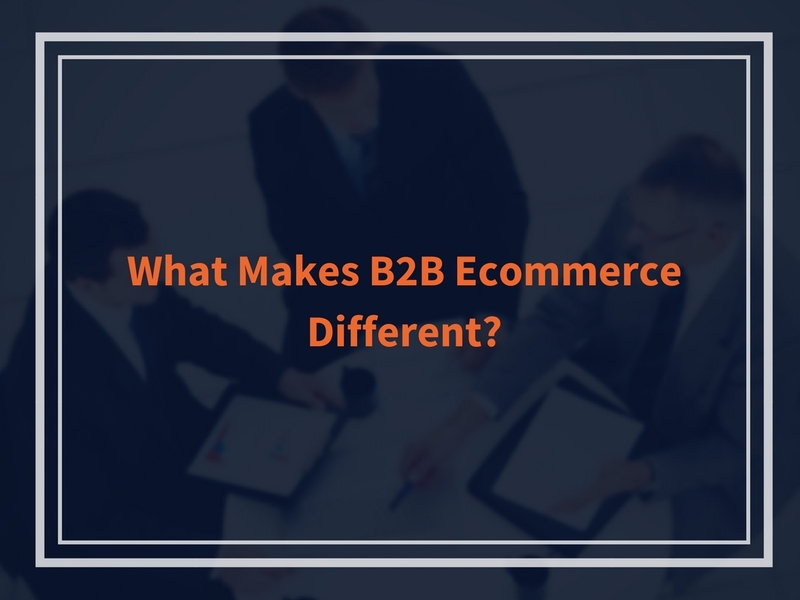 What Makes B2B Ecommerce Different? A lot of web designers would like you to believe that ecommerce is all about shopping carts and simple plug-ins. To their thinking, every online store is the same, and generating profits from internet sales is as simple as pairing a few product pages with search engine ads and social reviews. They might be right, when it comes to small businesses that just sell a few simple products to consumers. When we look at ecommerce for companies that sell B2B services and solutions, though, it’s an entirely different story. A recent Forrester survey showed that 30% of all B2B buyers made online purchases, and that almost twice as many were planning to in the next few years. That makes B2B ecommerce one of the fastest-growing parts of the industry. Almost everyone with an internet connection has bought something from Amazon.com or iTunes; however, much of the B2B market remains untapped. It isn’t just that B2B internet purchases are growing as a percentage, though. Online or off, business buyers tend to spend quite a bit more than their personal consumer counterparts. So, there are many more dollars at stake for each potential order or account. Although customers buy all kinds of products and services over the web now, many consumer purchases still amount to “impulse buys.” People see products they like, check out the price (and maybe a few reviews), and then complete the sale. That doesn’t happen as often in B2B ecommerce. Because more money is at stake, and because buying decisions are often made by groups, prospects tend to research their decisions a little bit more. Additionally, the extra money means extra competition in a lot of markets. As a result, B2B businesses often need more content – in the form of blog posts, videos, buying guides, etc. – both to remain at the top of the search engine listings and convince prospects to keep moving forward. Some B2B marketers might grumble about the need for additional content and reputation building, but there is a silver lining to all of this buyer research: most people who are spending money for the business organization aren’t as sensitive to price. Unless it’s something as simple as printer paper, they want service, speed, and reliability. That means you can get profits from B2B ecommerce even if you aren’t the cheapest supplier in your industry. As long as you can explain to customers why they have to spend a little bit more to get the best, you may be able to generate big sales directly from your website. Want Help With B2B Ecommerce? If you sell to other businesses and want to add online ordering on your website – or simply want to get better results from your existing B2B ecommerce offerings – now is the time to get expert advice from a proven creative team. Talk to the experienced minds at WebRevelation today and see why so many B2B marketers refuse to work with anyone else!